For those of us that may have missed out on nabbing one of the best Venom action figures ever made when it was first released in 2013 or reissued in 2014, you're in luck! Forget about paying through the nose through aftermarket resellers, because Entertainment Earth has opened up for preorders for the Marvel Select Venom figure at MSRP $21.99 USD with an expected shipping date of August 2016. Madness appearance from the '90s. 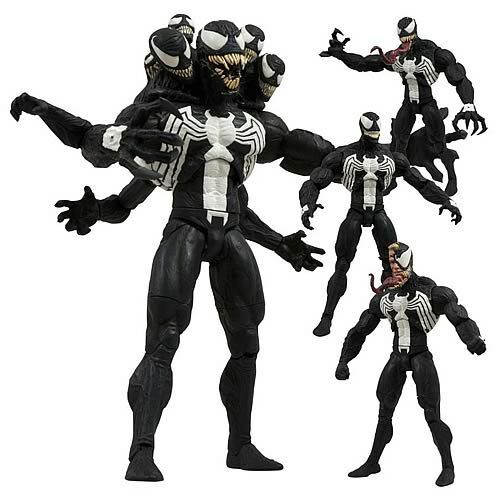 Head over to Entertainment Earth's product page and don't miss out on getting your hands on perhaps the definitive Venom action figure! Already have one? Give us your review in the comments section below!